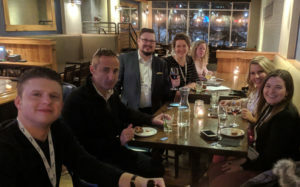 Extremely cold weather managed to shut down much of Wisconsin this week, but it failed to shut down the WBA Winter Conference. 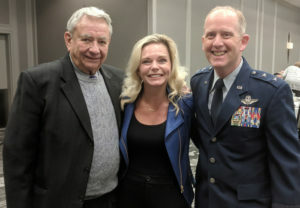 The conference was held on Wednesday at the Madison Concourse Hotel as wind chills outside reached -50 degrees. The WBA Foundation Board and WBA Board of Directors met on Tuesday ahead of the conference and hosted Lt. Gov. Mandela Barnes at their joint reception that evening. Barnes spoke to the board members and spent time speaking with individual members as well. Also on Tuesday, Seth Resler from Jacobs Media hosted a session about podcasting. 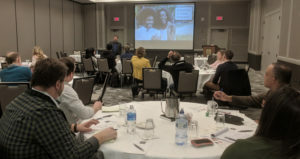 The session was geared toward stations interested in starting podcasting and then on how stations can grow their podcast following. 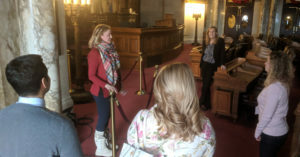 After that, WBA members visited the State Capitol for a WBA Young Professionals session about state government. 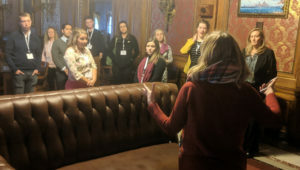 The group heard from Michelle Kussow from The Capitol Group about what it’s like to lobby at the Capitol and from WISC-TV Assistant News Director Jessica Arp about being a political reporter in the Capitol. 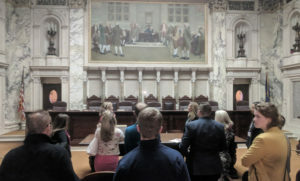 The group then heard from Sen. Patrick Testin who is one of the younger members of the State Legislature. He talked about the process of passing legislation and working with other lawmakers. 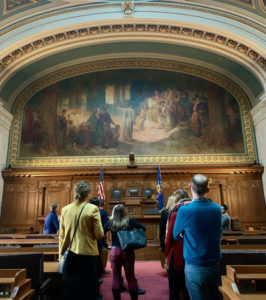 The group then took a tour of the Capitol led by Kussow and Arp. 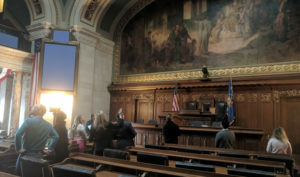 The group visited the Governor’s office, the State Supreme Court, the State Assembly, and the State Senate. 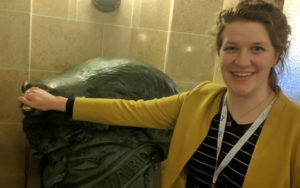 This badger at the Governor’s office provides good luk to all who rub his nose. The day ended across the street from the Capitol at Cooper’s Tavern where the group enjoyed drinks and appetizers. Wednesday started with the WBA Job Fair where, despite the cold, a small group of people showed up to learn about careers in broadcasting. The broadcasters at the fair were excited to talk to the brave souls who came to the job fair while much of the state was shut down. 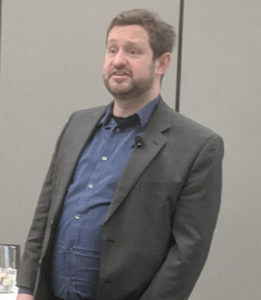 Attendees then heard a brief presentation from DC Attorney David Oxenford about radio ownership rules before the annual EEO session. Rufino Gaytan and Rebeca Lopez from Godfrey and Kahn talked to attendees about preventing discrimination in the workplace. 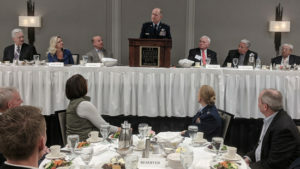 The agenda for the WBA Business Luncheon was full. 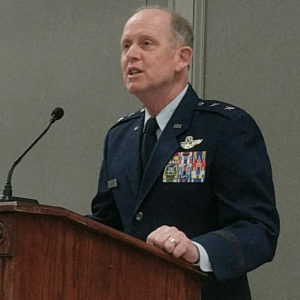 It kicked off with an address from Wisconsin Adjutant General Major General Donald Dunbar who talked about the important role the Guard plays in protecting Wisconsin and the United States. He praised the men and women who serve in the Guard, and thanked the WBA for its long relationship with the Guard. After lunch, the first ever WBA Distinguished Service Award was presented to Wisconsin Governor Tommy Thompson. The award was presented by Roger Utnehmer with remarks from former WBA President John Laabs. 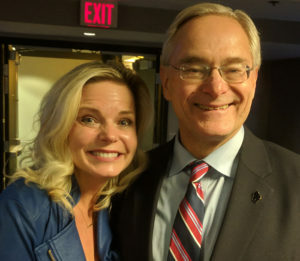 Thompson spoke about his support for broadcasters and praised them for their service to their communities. 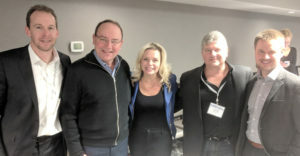 Members then received a legislative briefing. Because of the cold, nearly all of the legislative calls scheduled for the afternoon were cancelled. 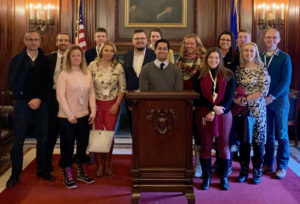 A few broadcasters were able to visit lawmakers who decided to stay in Madison. 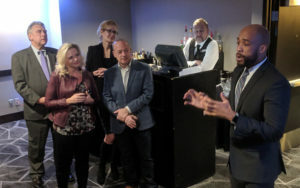 A Legislative Reception was held that evening and, despite the extreme weather, a couple lawmakers made the trip to the Concourse Hotel to talk with Wisconsin’s radio and TV station representatives. 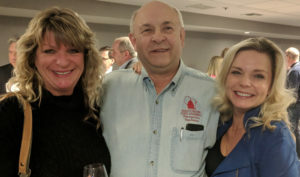 Your WBA thanks everyone who attended the Winter Conference and we look forward to seeing you at any of our many upcoming events.